Now with Top Level Domains available, you may just find the perfect domain you’ve always wanted. The term TLD stands for Top Level Domain, and is the string of letters at the end of a domain name. For example, the domain name MYSITE.COM is part of the .COM Top Level Domain and the domain MYSITE.CA is part of the .CA Top Level Domain. You are probably aware of some of the most popular TLD’s like .ca, .org, .biz. .uk, .net, .info, and .eu – just to name a few! Though believe it or not there’s now over 1,000 Top Level Domains to choose from. Why do we need more then the typical “.com” and “.ca”? The .com and even the .ca domains are over saturated and anyone who has searched for a short .com or .ca domain name already knows that the good ones have already been taken. Thanks to people like Mike Mann, who has made a business for himself by buying up domain names cheaply and reselling them for thousands of dollars more. Though he’s not the only one – it’s now an industry called domain reselling. Domain reselling is a 1 Billion dollar plus industry. Though don’t quit your day job to get into this line of work. First of all, there’s already a lot of players and you’d be joining about 20 years too late. You’d also need a lot of capital to be able to purchase these domains and then you need to be somewhat of a ruthless sales person. You can take almost any word and type it in your address bar then add .com to the end and a website will appear… and if it doesn’t, you’ll land on a page to buy it!! While this is great for the end consumer, it puts a burden on any new company looking to buy a new domain for their business. Of course a good branding strategy, and hours going through a dictionary looking for peculiar words that add excitement (think Yahoo!) may help you find a new business name. Though if you already registered your new business name before you decided on buying a domain name, then you may find yourself with very few options in the .com world. To date, there’s over 123 million .com domain names registered (StatDNS.com). Which got me thinking – how many words are in the English language?!? So I Googled it. Interestingly enough, there are only 1.2 million English words in the dictionary (not including prefixes/suffixes and plurals). Which means that a lot of domains have more then one word in front of the traditional dot com, making for a longer domain name then possibly required. Remember to factor in your email address when choosing a domain name. Ideally, you don’t want to be over 20 characters, but always remember that shorter is better. Try designing a business card when your first name is 10 characters long and your domain is 15 characters long – it makes for a really small font to squeeze all that info on one little line of text. There’s a stack of new Top Level Domains for new businesses to choose from, if they can’t find their traditional .com. For example, here in Canada we can consider a .ca. 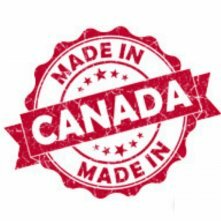 Which means only Canadian companies or our Citizens can purchase this type of TLD. Though now, companies can go one-step further and buy industry specific TLD’s. If you own an agency you can now buy “.agency”. How about if you’re an accountant? You can buy “.accountant”. If you sell shoes you can buy “.shoes”… You get the point. The list is extensive and new options are added each year. You can view the current list of TLDs here. Domain name length – remember to consider your email address. registration eligibility – you can’t buy a .ca unless your company operates in Canada or you are a citizen. I will be discussing all of the above bullets in the future. To keep informed on new post, Like me on Facebook! If you have questions or need help in purchasing a domain name, please contact me to set up a consultation.